Flashback: what was it like moving to the DTM in 1980? Previous post: Opinion: is the City Yard really under-used? And was it really a former neighborhood? 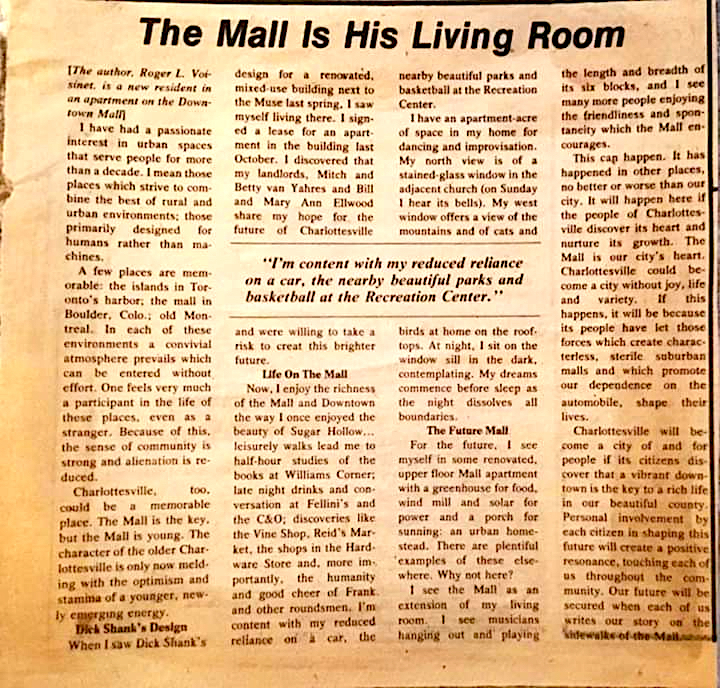 In 1980, local realtor Roger Voisinet published an article in the Daily Progress about his decision to live on the Downtown Mall (not something too many people considered back then) and his hopes for the urban experiment. So, did it become what he imagined it would?